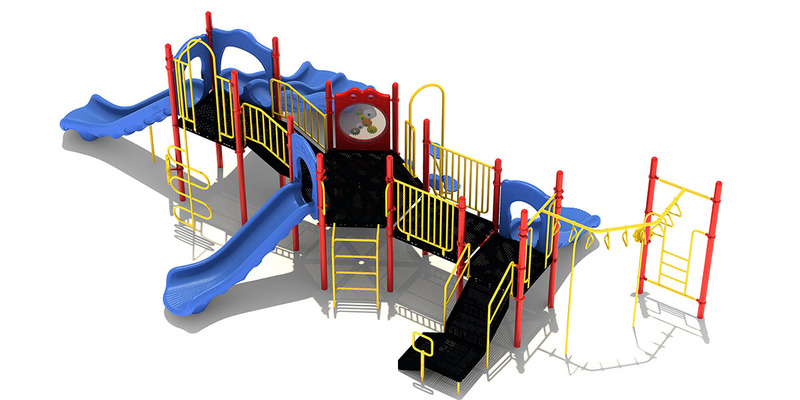 Never have a bad day at the playground again with the Corvallis play structure. 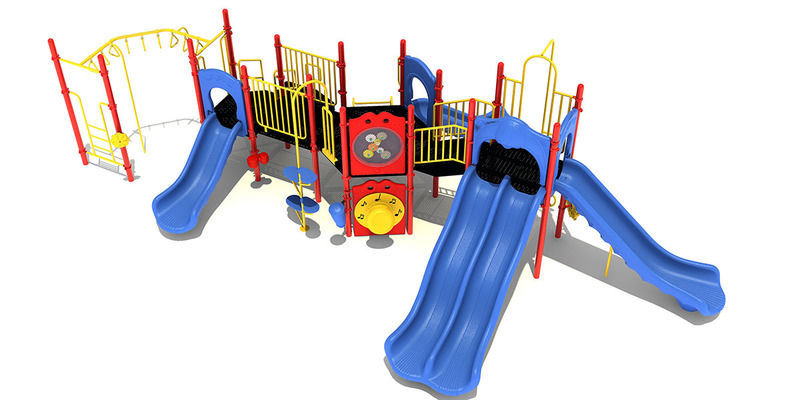 This play structure will provide children with the excitement they need to enjoy themselves as they play. Climbing up a vertical ladder, children are able to take a curved overhead swinging rung ladder to the lowest elevated platform, a straight slide and stairs also connect to this platform. 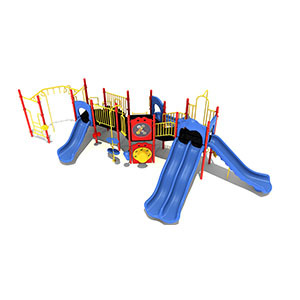 Never have a bad day at the playground again with the Corvallis play structure. 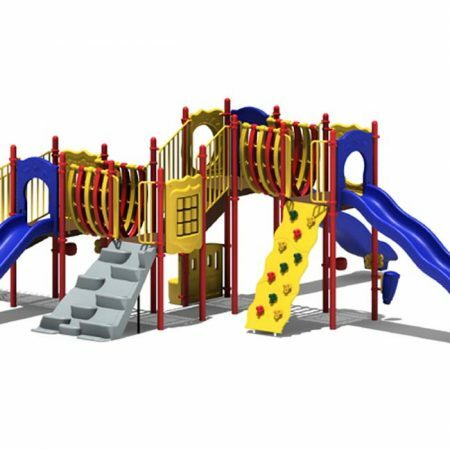 This play structure will provide children with the excitement they need to enjoy themselves as they play. 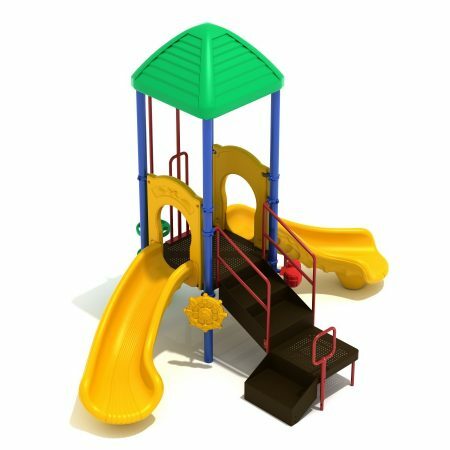 Climbing up a vertical ladder, children are able to take a curved overhead swinging rung ladder to the lowest elevated platform, a straight slide and stairs also connect to this platform. 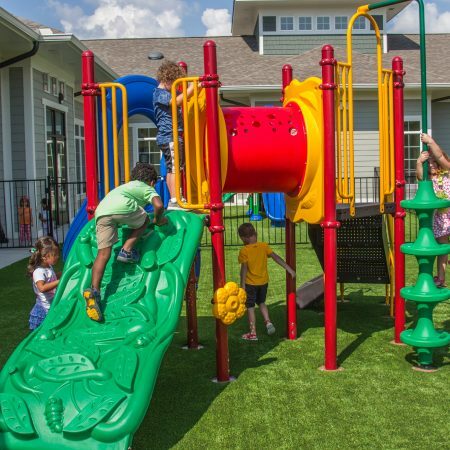 Continuing up another platform children will come across a hexagonal elevated platform where they can play with a gear panel or be joined by their friends who climb up a vertical ladder or pea pod climber. 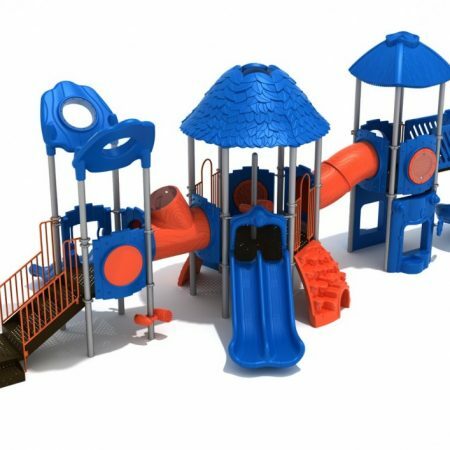 From the hexagonal elevated platform children can choose to slide down a straight slide or continue up stairs to a 60” elevated platform that has a snake climber, double wave slide, and straight slide attached to it. Drums, bongos, a ship’s wheel, and a rain wheel found around the ground level of this play structure make the Corvallis play structure ADA compliant. 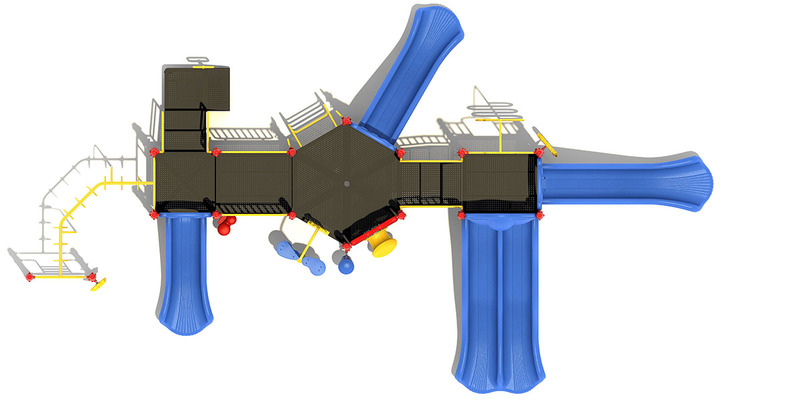 This play structure is designed for children between the ages of 5 and 12.